WASHINGTON (AP) — The Federal Reserve wasn't just trying to drive down interest rates when it announced a third round of bond purchases Thursday. The idea is for the Fed's $40 billion-a-month in bond purchases to lower interest rates and cause stock and home prices to rise, creating a "wealth effect" that would boost the economy. 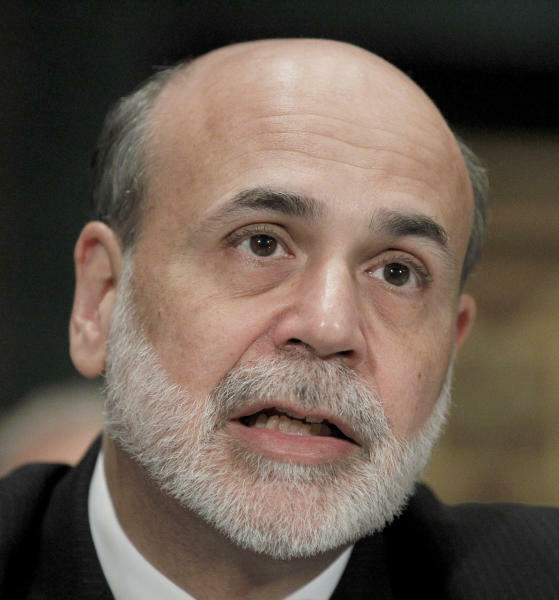 And "if people feel that their financial situation is better because their 401(k) looks better or for whatever reason — their house is worth more — they're more willing to go out and spend," Chairman Ben Bernanke told reporters. "That's going to provide the demand that firms need in order to be willing to hire and to invest." Sure enough, stocks have surged since the Fed announced plans to buy mortgage bonds as long as it feels necessary — a policy known as "quantitative easing," or QE. And since Bernanke gave a speech Aug. 31 more or less confirming that QE3 was on the way, the Dow Jones industrial average has jumped more than 500 points, about 4 percent. Stocks tend to rise when investors expect lower interest rates. In part, that's because some investors shift money out of low-yielding bonds and into stocks, which are riskier but offer potentially higher returns. And lower rates can spark more spending and boost corporate profits. Still, economists say the wealth effect from higher stock prices tends to be modest. And some caution that home prices might not rise much as long as many would-be buyers can't qualify for mortgages. In addition to the bond purchases, the Fed said it expects to keep short-term rates super-low at least through mid-2015, six months longer than it previously planned. And it said it would probably hold rates low even after the economic recovery has strengthened — a sign that it will intervene until the economy starts growing fast enough to reduce unemployment sharply. As a result of the Fed's latest moves, Mark Zandi, chief economist at Moody's Analytics, expects the average rate on a 30-year fixed mortgage to fall in the next several months to near 3 percent from 3.55 percent now. Lower rates could trigger another wave of refinancing, which would give people more money to spend. If lower mortgage rates boost home sales and prices, they could contribute to the wealth effect: Americans whose homes rise in value would be more willing to spend. The combination of more refinancings and increased household wealth will help the economy quickly but only modestly, Zandi predicts. The Fed's moves should lower unemployment (8.1 percent in August) by up to 0.3 percentage point by the end of 2013, he says. Many economists worry that the Fed is reaching a point of diminishing returns after nearly four years of aggressive efforts to help the economy. 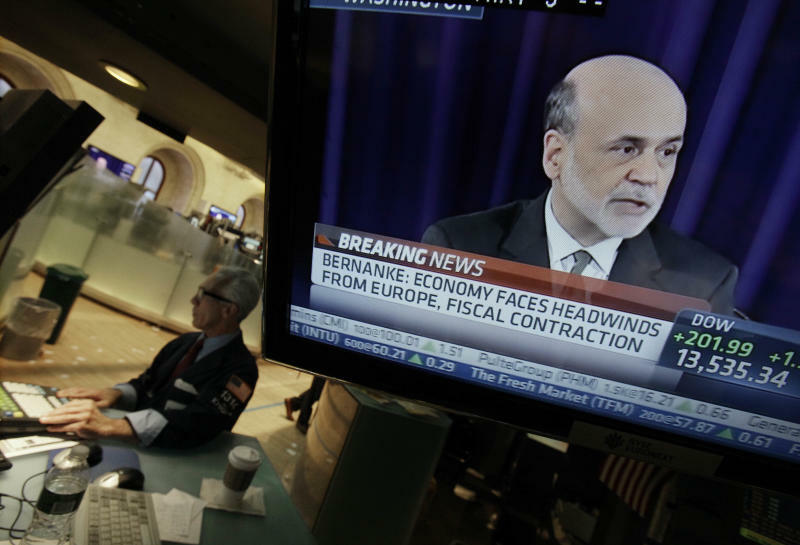 Bernanke himself urged everyone to keep expectations in check. "I personally don't think that it's going to solve the problem," he said Thursday. "But I do think it has enough force to help nudge the economy in the right direction." Every $1 increase in stock prices raises consumer spending by 3 cents to 5 cents, according to calculations by Joseph Gagnon, a former Fed official who's a senior fellow at the Peterson Institute for International Economics. So if the market value of the Standard & Poor's 500 stock index, which was $13.9 trillion Friday, rose 10 percent, consumer spending would rise $40 billion to $70 billion. In the context of a $15.6 trillion economy, "it's small," Gagnon says. "But it adds up." About 80 percent of stocks are held by the wealthiest 10 percent of the population. As a result, the majority of Americans don't enjoy much of a lift from stock-market rallies. That said, the richest 20 percent of Americans account for about 40 percent of consumer spending. Rising housing prices work better, prodding people to spend more, Yale University economist Robert Shiller and others have found. But the mortgage bond purchases are unlikely to boost home sales significantly, even if they manage to lower mortgage rates further. The average rate on a 30-year fixed mortgage is barely above the record low of 3.49 percent. Home sales remain depressed not so much because loan rates are too high but because would-be buyers can't qualify unless they have stellar credit or can produce hefty down payments. "If you get a 2 percent mortgage but you've got to put 30 or 40 percent down, is that going to encourage people to buy a house?" says Doug Roberts, chief investment strategist at Channel Capital Research. 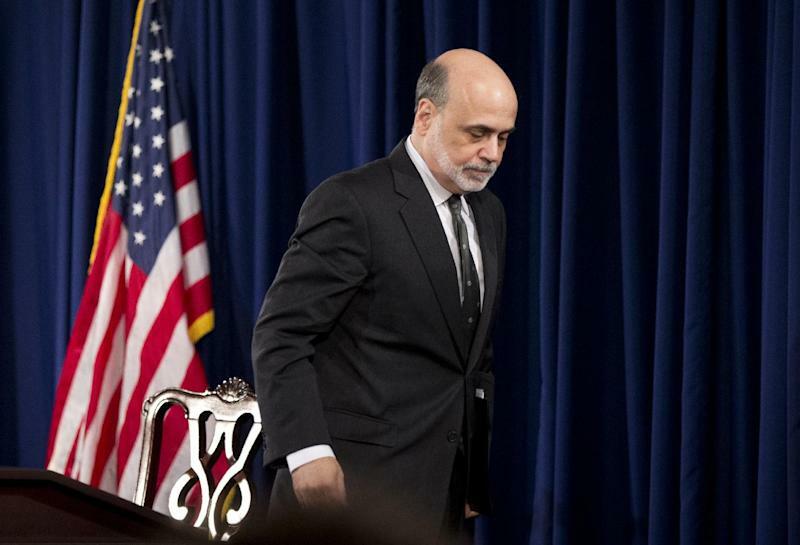 Still, Bernanke maintained that the Fed can help further, even with rates already ultra-low. He's argued that the Fed's first two rounds of bond purchases, in which it bought more than $2 trillion in bonds, saved 2 million jobs and accelerated growth. By comparison, President Barack Obama's $862 billion stimulus program created nearly 2.7 million jobs, according a study by Zandi and former Fed Vice Chairman Alan Blinder. In the short term anyway, the economy might actually receive a bigger boost from Apple's new iPhone 5. Michael Feroli, chief US economist at JPMorgan, calculated that the iPhone might add 0.25 to 0.5 percentage point to the annual growth rate in the last three months of 2012. "I wouldn't be surprised" if the iPhone does more for the economy, Feroli said in an e-mail. "At the end of the day, economic growth is about producing more and better goods and services."